The hubby requested another shot of Timothy from Alaska Seas (1954), directed by Jerry Hopper. 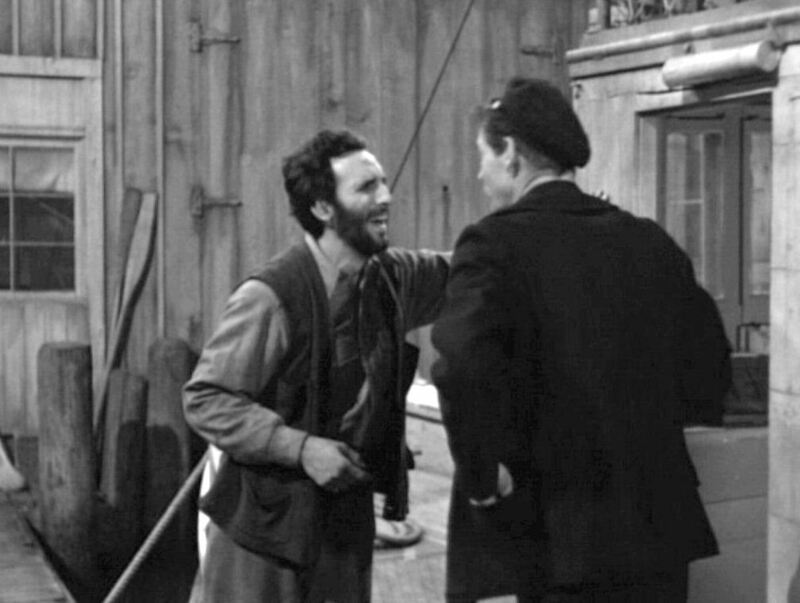 Here he is as marine repairman Wycoff, confronting rogue fisherman Matt Kelly (Robert Ryan) about the money he owes Wycoff for services rendered (not to put too fine a point on it, $920.60). This one used to be streaming on Netflix, but not anymore. It is available on Amazon Instant Video, and you should be able to find a copy on sites such as iOffer. It’s worth your time – check it out! This entry was posted in Film and tagged alaska seas, amazon instant video, ioffer.com, jerry hopper, netflix, robert ryan, timothy carey. Bookmark the permalink.